Tel Aviv-based tree intelligence startup SeeTree Systems Ltd. announced on Wednesday it bagged $15 million in funding. The company, which has operated in stealth mode since 2017, completed an $11.5 million series A round led by Israel-based Hanaco Ventures, which joined an earlier $3.2 seed round participated by Canaan Partners Israel, Tel Aviv-based venture capital firm iAngels Crowd Ltd., San Francisco-based Mindset Ventures, and Waze co-founder Uri Levine. 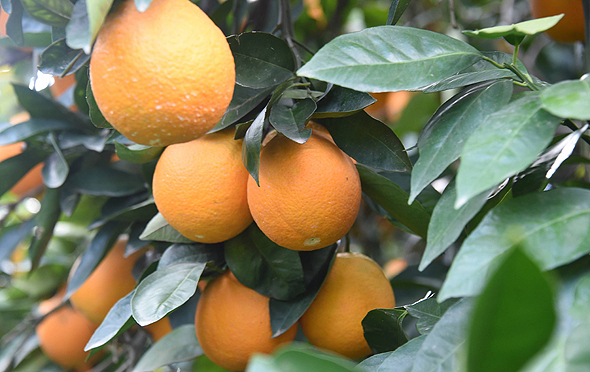 SeeTree also launched its tree analytics service, which has been operating under the radar in California and Brazil, where it provides citrus growers with full data packages on their individual orange trees. According to Hachamov, the company collects and analyzes data on individual trees at the level of an expert agronomist, only with a potential to do it on a scale of millions of trees. SeeTree collects data using drones fitted with cameras and sensors, a network of soil sensors, and teams on the ground. Then, Hachamov said, the company uses machine learning and artificial intelligence algorithms, “as well as human intelligence,” to analyze key data points, including the amount and quality of a tree’s fruit output. Hachamov said SeeTree’s technology can help contain plant diseases, help farmers irrigate and fertilize plots more efficiently, and ultimately increase fruit output. SeeTree was founded by Hachamov, a serial entrepreneur and Google Launchpad strategic advisor, Israel Talpaz, aa 30-year veteran of Israel’s intelligence community, and Guy Morgenstein. The company employs 40 people in offices in Tel Aviv, California, and Brazil.